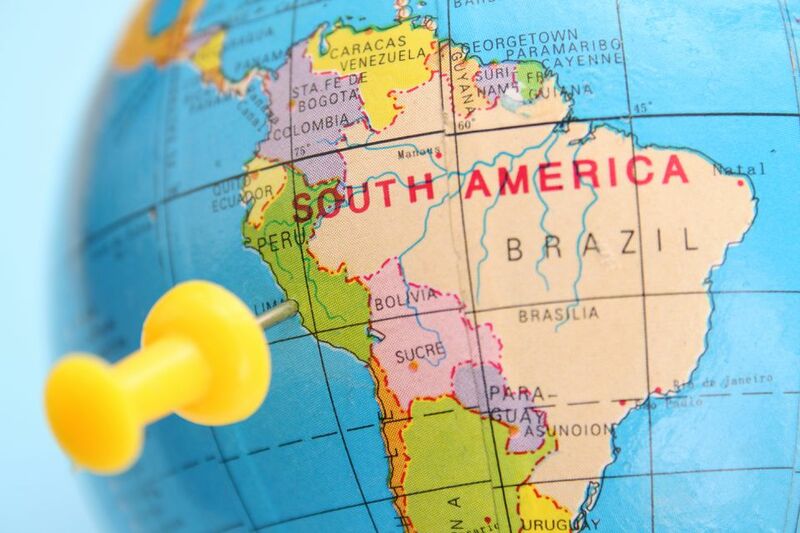 Brazil and Columbia, the two countries sharing the longest land boundaries with Peru, are arguably the least accessible in terms of overland travel; however, crossing the border between Peru and Ecuador, Chile, or Bolivia is relatively simple. The Peru-Colombia border runs through the Amazon jungle, with no major roadways running between the two. The lengthy Peru-Brazil border, meanwhile, does have two major border-crossing points: one crossing via the Amazon River in northern Peru (via Iquitos), and one major land crossing along the Interoceanic Highway in the southeast (via Puerto Maldonado). In comparison, the remaining three countries all share fairly straightforward border-crossing points with Peru. The Peru-Ecuador and Peru-Chile borders are easy to cross near the coast by traveling along the Panamericana (Pan-American Highway). Bolivia also has an easily accessible border-crossing point running through the town of Desaguadero, just south of Lake Titicaca, and it’s also possible to take a boat across Lake Titicaca. Keep in mind that when crossing the border in Peru, you might not need a visa to enter Peru as an American citizen, but you will need one to enter some countries that border it (like Brazil). Generally speaking, you can get a visa to allow travel between South American countries for up to three months before needing to renew. No matter which way you're heading out of Peru, you're sure to find an excellent adventure in one of the nearby South American countries. If you're visiting Ecuador, you can see the Ciudad Mitad del Mundo monument and plaza in the capital city of Quito, Baltra, and Floreana Islands where Charles Darwin conducted research on Galápagos flora, and El Panecillo volcano and monument. If you're visiting Columbia, check out the Salt Cathedral of Zipaquirá, the Gold Museum of Bogota, and Rosario Island beach, aquarium, and snorkeling adventures. Brazil offers the most diverse set of entertainment options, considering you'd enter in the Amazon and come out on the opposite side of the continent near popular beach vacation cities. Bolivia is entirely landlocked, but it does offer the beautiful Salar de Uyuni salt flat, the Inca palace and Chincana ruins on Isla del Sol, and Laguna Verda's green waters, hot springs, and volcanoes. Finally, Chile stretches down the west coast of South American and offers the Torres del Paine National Park's granite towers, icebergs, and Grey Glacier, the El Tatio geyser and hot spring, and the penguins on Chiloé Island. What Happens if You Overstay Your Tourist Visa in Peru?